Back in October, when Ami of Lakes Yarn and Fiber gave me a preview of her exclusive Drops of Honey colorway for the Where We Knit yarn club, I have to admit that I did a little happy dance in my apartment. It was perfect — not necessarily a color I would gravitate toward for myself (though my color palette has expanded since I’ve started knitting pretty exclusively with hand-dyed yarn) but stunning. 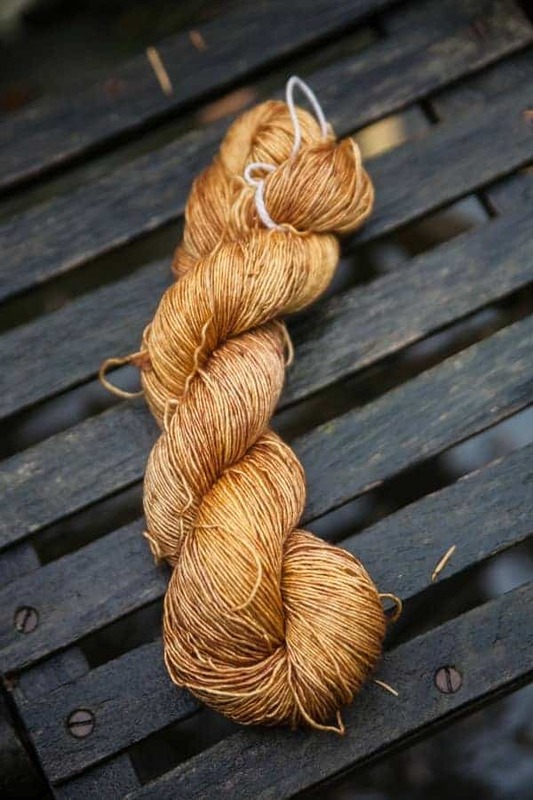 The silk in the Merino/silk blend makes the honey color shine like gold. I’ve received feedback from club subscribers who are similarly thrilled with their packages, which shipped out Feb. 1 and also included Drops of Honey stitch markers from Indie Untangled vendor winemakerssister. 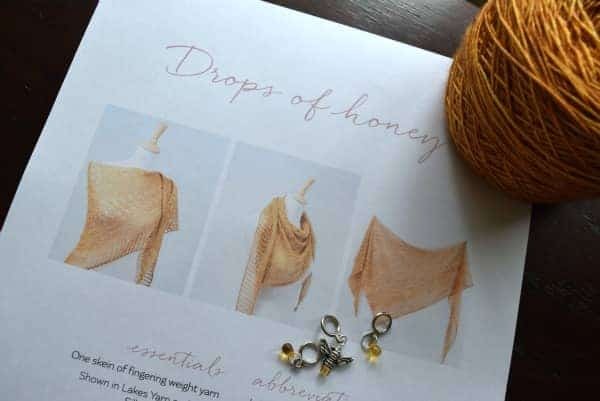 It’s paired with Janina Kallio’s Drops of Honey shawl, which will be available to non-club subscribers in May. 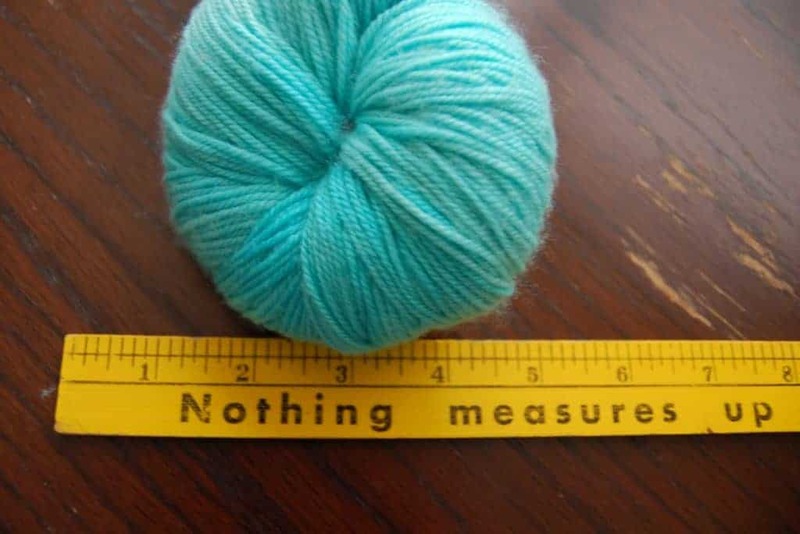 I cast on last night while watching TV — Colbert, not Netflix — and I know it will be an enjoyable knit. If you’re a club subscriber, please join us in the Indie Untangled Ravelry group for a KAL! This entry was posted in Where We Knit yarn club and tagged shawls, stitch markers, yarn, yarn club.